So recently for work I was researching reusable bags. Although I won't be so bold to say I'm a lean mean greenie, but I do recycle and hate waste. 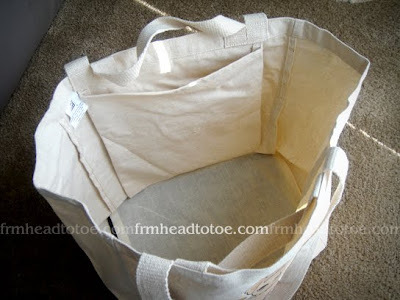 The idea of reusable bags really appeals to me, and my husband and I use them for our groceries regularly (and use old plastic bags for trash too). As a whole, I would say that the design for reusable bags have gotten better but still not super fashionable or something I'd want to carry around on a whim. This is until I came across Bratty Boo. OMG isn't this thing hilarious? There are many manifestations of "The Boo Dog" including this main one, Goth Boo, Bebe Boo, and my personal favorite, Bratty Boo. Now I don't condone smoking at all but how ridiculously awesome is Goth Boo in her fishnet tights and dark undereye circles? 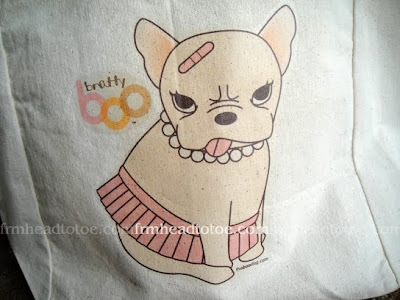 And I just think Bratty Boo is perfect with her pearl necklace and grumpy expression. What better way to carry my tools around for my makeup jobs?!!! 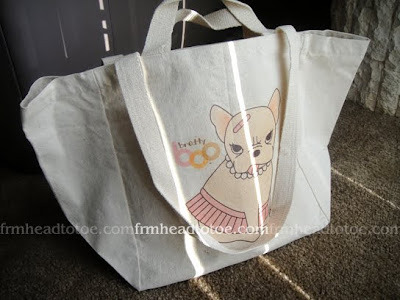 Here is the bag I got, the Dual Handle Canvas Bag with Bratty Boo. It's very, very spacious. 12"x12"x8" and has a nice pocket to fit my cell phone, wallet, combs, lashes, whatever extras I need. I can fit my whole small train case inside as well as a towel and there's still room on the sides for a hairspray and water bottle. There's a hard plastic panel at the bottom too, so it's very sturdy. Here you can see both the long and short handles. Comes in handy depending on how much stuff I am carrying! And a close-up of Bratty Boo herself. LOL. I love it so much. The dual handle bag sells on http://theboodog.com/ for $20 and there are other styles of 100% eco-friendly bags to choose from including a canvas bag for $15 or even a set-of-2 onesies for $10. Seriously, I'm not even kidding, I love this bag so much. I e-mailed her right away and I was like PLEASE SEND ME THIS RIGHT NOW AND FREE STICKERS PLEASE!!! 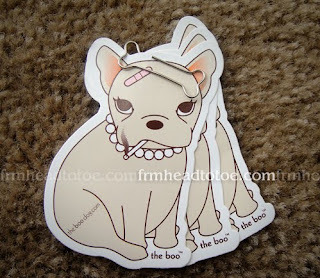 Did I mention she gives away free stickers of boo on her site? 'Chyeah. Totally awesome. It even had a bone-shaped paper clip. I may or may not have squealed when I saw it. Here's me carrying the bag. You must note that I am only a stitch above 4'10" so it looks huge on me but it has made my makeup jobs so much easier! And here was my outfit that day. I am probably equally as obsessed with this BB Dakota cotton blazer as I am with my Bratty Boo bag. Close-up of the eye. Urban Decay 24/7 pencils in Zero for upper lash line and Lucky for the outer half of the lower lash line. Covergirl Lash Exact Waterproof mascara. 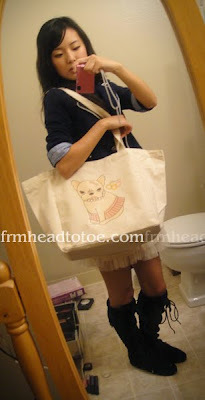 that bag is oh-so cute!! <3 Boo! haha xD i've been away from reading blogs and blogging for so long! :( i miss you, Jen! trying catch up with your blog whenever i have time! you are SOO GORGEOUS!! I swear, you get more and more beautiful with every new post! <33 I hope you've been well! Are you a makeup artist now? the little dogs are so cute! i love how they're recycled too. 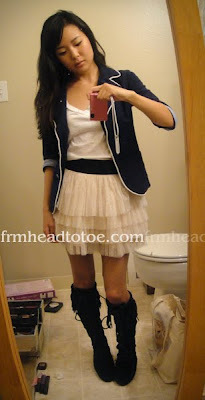 i looovee the boots, they're too adorablee. So cute! Thanks for sharing! I'm obsessed with eco bags myself. For some reason, I keep buying target eco bags. hahahaha. Omg, that bag! Hee hee...so cute. Love your outfit too! Sweetie thank you for this post! I'm surely ordering one now. I don't care, I want one! For grocery and all the make up stuff I bring with me! Caroline :]: Aw, it's glad to have you back! I read your blog entry and honestly, it sounds like your internship is a blessing even though it's been so consuming and tiring. My job is tiring too since I have to drive an hour just to get there everyday (2 hours of driving everyday takes its toll) so I understand a bit of what you are going through. Maybe you can get a netbook so you can use the wi-fi internet at borders. :) And yes, I've been doing makeup artistry on the weekends. I just did a huge wedding last Saturday and it went really well! Thanks so much for your support, babe! Lisa: Wow, that's so fast. They do give me semi-permanent lids more often than not. You have to tell me where you bought your tapes. You don't sell them, do you? 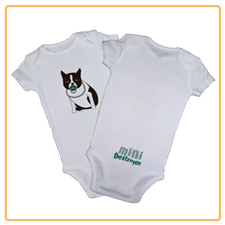 Shopn'Chomp: Thank you so much! 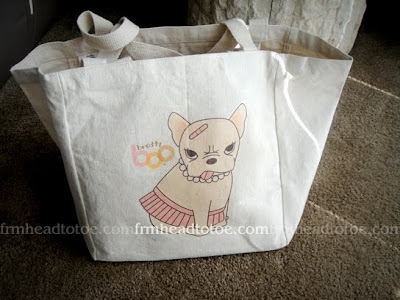 I know, the bag is just too cute! Jen, I actually ordered them about a year or so ago directly from Japan..
Their website... seems to not exist anymore -_-. I'm going to email the contact that I have in the company, and get back to you on pricing, etc, because I want more! I bought it for about $12 a pack of 50 pairs. I don't sell them because they were kinda hard to get my hands on. I'll give you her contact info if she responds back to me! Hey Jen! 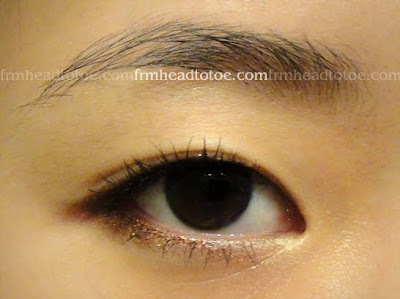 Do you use the wonder eyelid tape for extra double eyelid or just the natural? Bratty Boo is adorable! And I love your jacket. you have amazing taste in clothes. such a daring & genius combo... I love it. one word. CUTE! these are great especially now when you go shopping and you have to fork out money to get a bag :S. Might as well use one that's pretty neh?